The Gibson Custom Les Paul Custom Quilt Solid Body Electric Guitar puts upgraded controls and a deluxe finish on an already great guitar. The result is something that Les Paul fans will love. 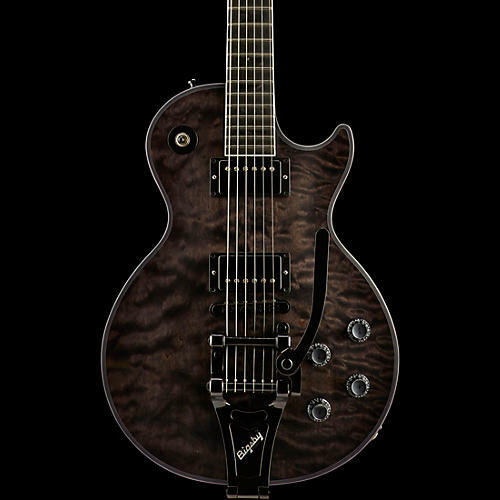 It comes with a checklist of great features including a SlimTaper neck with 12" radius; 496R and 498T pickups with coil-tap and phase; and a tune-o-matic bridge. Includes hardshell case.